NESAC/BIO is located in the Molecular Engineering & Science (MolES) Building on the University of Washington campus in Seattle, WA, USA. The Workshop location is TBA. 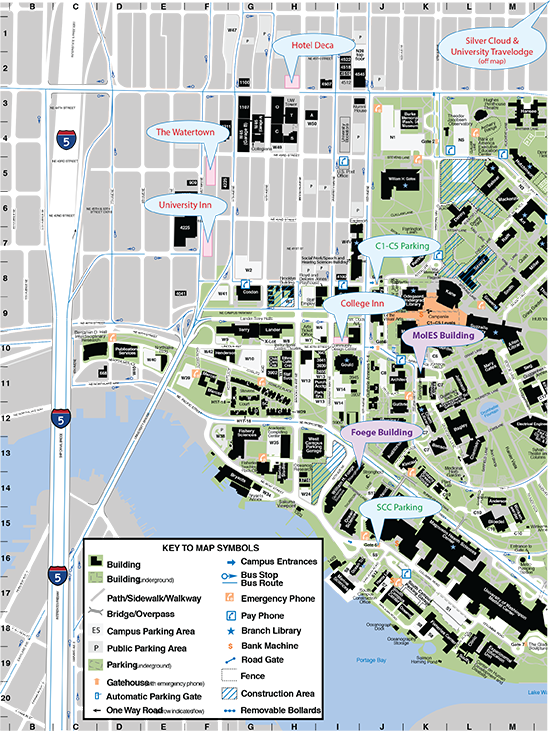 Central Parking Garage - C1-C5 bubble on campus map below, enter into underground from 15th Ave NW. Parking is $15 per day. Note: gatehouses close at 9:00pm. © Copyright 2014 by NESAC/BIO. All rights reserved.